To locate the complete adopted text of the community plan go to the Livable Communities Element and use the Table of Contents to go to the Riverview Community Plan. View the Sociocultural Data Report (SDR) for Riverview. The SDR contains demographic information and trends for Riverview from 1990 to 2015, a summary of existing land use within the community, and a list of facilities. A demographic profile for Hillsborough County is also available at the end of the document. Riverview lies within the “SouthShore Areawide Systems Plan” area.  The SouthShore Areawide Systems planning initiative called for the preparation of six community plans, one of which was for the Riverview area. The Riverview Community Plan consists of thirteen (13) goals and strategies that are generally intended to enhance community character, promote the development of a town center, promote economic development, establish design standards, protect and enhance the culture, history, and sense of place, enhance the transportation system and to develop multimodal transit, and enhance the Alafia River's recreational and economic opportunities. The community plan area is bordered on the north by Bloomingdale Avenue/Alafia River; on the east by Balm Boyette/Boyette Road; on the west by Tampa Bay/I-75, and generally on the south by Bullfrog Creek/SR 672. The area is comprised of approximately 56 square miles (36,000 acres). In addition to the text, the plan includes both a Conceptual District Map and Boundary map. The Riverview community is in transition and rapidly suburbanizing, no longer a rural community but still retains many agricultural landscapes. Riverfront District portion of the visions, goals and strategies of the Riverview Community Plan was implemented by comprehensive plan amendment (CPA 07-05 Riverview-Riverfront District). The community expressed their intention to reduce the intensity of development while increasing and preserving public access and the scenic and historic character along the Alafia River. The amendment area was located along portions of the northern and southern banks of the Alafia River from Tampa Bay east to approximately 3 miles east of Highway 301. The amendment reduced a majority of the area from Residential-6 and Suburban Mixed Use-6 to Residential-4 and from Residential-4 to Residential-2; to increase a small area from Residential-6 to Suburban Mixed Use-6; and designated the Riverview Civic Center as Public/Quasi Public. The residents’ communitywide vision is to maintain the area’s small town charm and atmosphere. As the community grows, citizens envision Riverview as a town containing a peaceful, family-oriented and pedestrian-friendly atmosphere in which all can safely live, work and play. Riverview citizens aspire to create a strong sense of “community identity” and spirit. The residents seek to enhance the area with versatile recreational and economic opportunities. Further, there is a desire to develop cultural and educational resources that stimulate both the young and elderly. The residents have expressed a strong desire to maximize recreational and economic opportunities uniquely afforded them by the Alafia River, while recognizing the priority of protecting the natural resources. This concept proposes a clearer and distinctive planning basis.  It identifies distinct visions for a Riverfront, Downtown Highway 301, Residential, Industrial, Open Space, and Mixed Use districts. These unique districts are intended to reflect community assets and guide development in a pattern that will enhance Riverview’s long-term quality of life. These districts and the desired vision for the future of these districts are described as follows. Achieve better design and densities that are compatible with Riverview’s vision. 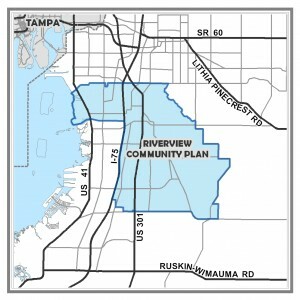 Reflect the vision of Riverview using the Riverview District Concept Map. The Riverview District Concept Map will illustrate the unique qualities and land uses related to distinct geographic areas identified as “districts”. Enhance the community’s “sense of place”, small town spirit, and gateways. Provide safe, attractive, efficient multi-modal transportation, including vehicular, bicycle/pedestrian and transit. Improve and expand public facilities, services, and park systems, including the existing civic center. Prioritize the significance of improved quality, enjoyment, and protection of the Alafia River and other natural resources such as open space. Encourage economic development by supporting local business while attracting a variety of new uses and services, particularly high technology businesses. Enhance the Alafia River's recreational and economic opportunities, particularly non-motorized access. Attract, locate, and support appropriate industry and employment with state-of-the-art infrastructure. Maintain and support high quality schools also serving as community amenities. Interconnect districts and public places with concepts for walkability, particularly schools and parks. Recognize, preserve, and expand historic and cultural resources and places in Riverview. This plan was effective August 8, 2005. If you would like further information, please contact the Planning Commission. Community Plans adopted before 2009 do not include documents and meeting files at this time. This plan was effective August 8,2005. Request for further information should be directed to staff.